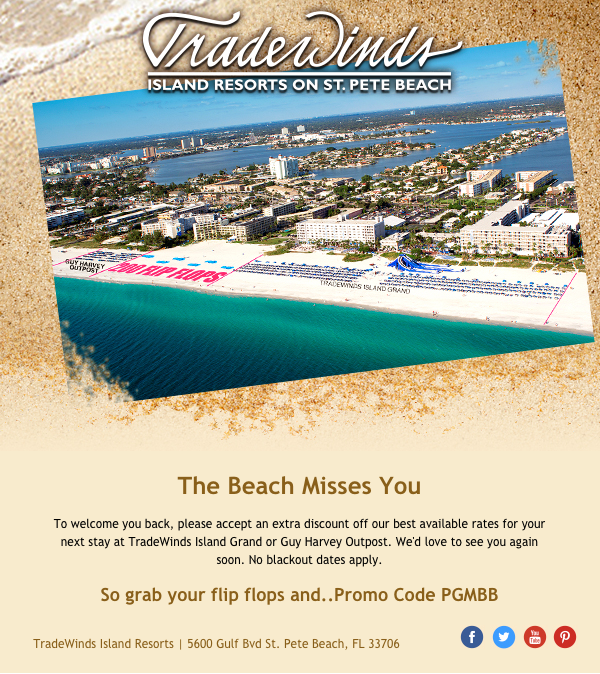 TradeWinds Resorts was in need of updating its identity to maintain their status as the Gulf Coast’s premiere family resort and destination. 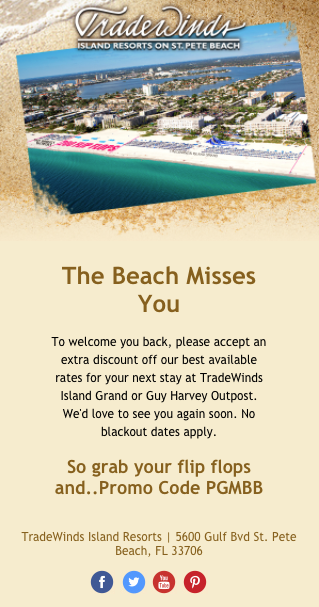 Since email communications has become the resort’s primary method of disseminating key promotional messages and reservation confirmations, Grafx Design was contracted to produce a series of re-branded email messages. 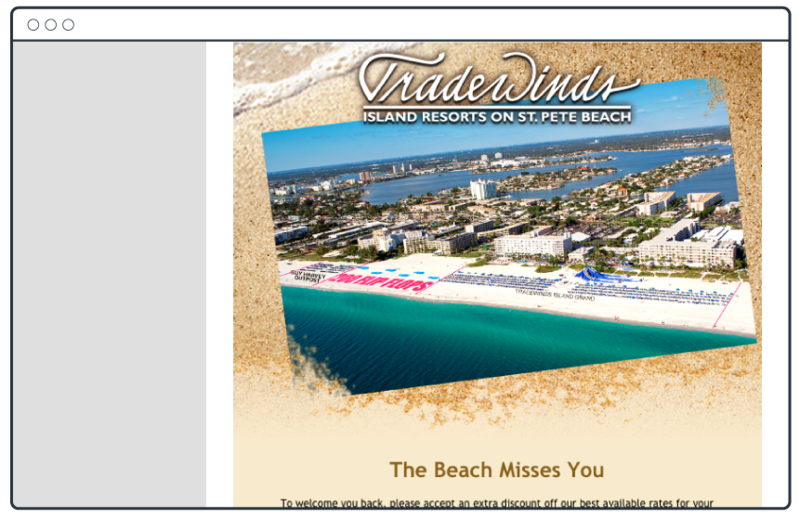 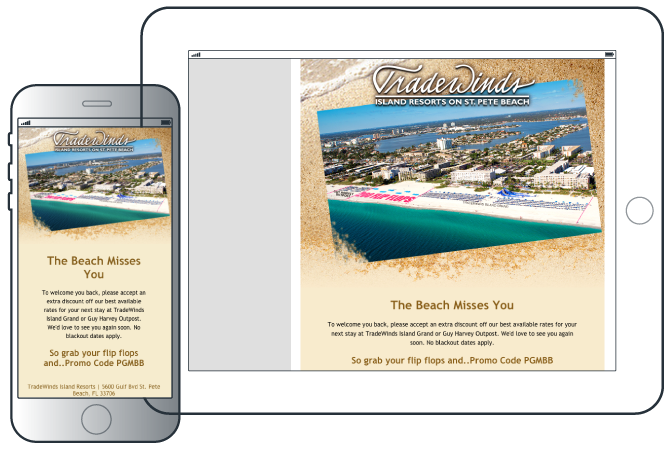 From the launch of the new and much improved pieces, the TradeWinds Resorts have seen increased interaction and click-thru rates leading to an increase in revenue.